IRS Form 944 - Employer's Annual Federal Tax Return was initiated by the IRS several years ago to give smaller employers a break in filing and paying federal payroll taxes (federal income tax withheld from employees, and Social Security and Medicare payments owed by employers and employees). The IRS says the purpose of form 944 is to allow employers whose annual payroll tax liability (as described below) is $1,000 or less to file only once a year instead of quarterly. Form 944 is used for these smaller employers instead of IRS Form 941 - the Employer's Quarterly Employment Tax Return. All employers are required to withhold federal income taxes, state income taxes (where applicable), and FICA taxes (Social Security and Medicare taxes) from employee pay, and to report and pay these taxes to the IRS, along with an amount equal to the amounts withheld from employees for FICA taxes. Form 944 is the reporting mechanism for providing this information to the IRS. 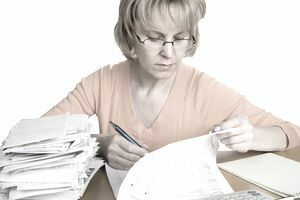 Form 944 also includes information on the Additional Medicare Tax that is withheld from high-income employees, that must be paid along with the other employment taxes. This additional tax isn't required to be paid by you as the employer. You may receive one of two types of letters from the IRS regarding filing Form 944. One says you are eligible to file this form and the other one says you are required to file this form. The amounts your business must pay to match the social security and Medicare taxes. If the total for all three of these for the year is $1,000 or less you may be eligible to file using Form 944. If you have been notified by the IRS that you are required to file Form 944, you may not file Form 941 instead. But you may send a request to the IRS to be allowed to file Form 941 instead. The information about submitting a request to file Form 941 is in the instructions for Form 944. Form 944 cannot be used for household employers or for agricultural employers. Based on current tax rates, if you pay $5,000 or less in wages subject to social security and Medicare taxes and federal income tax withholding during the calendar year, you’re generally likely to pay $1,000 or less in employment taxes. Form 944 must be filed by January 31 of the year after the year being reported. If you made deposits on time and in full payment, you have until February 10 of the following year to file this form. When these payroll taxes must be paid depends on the amount of your liability for employment taxes. The liability is equal to the total of all withholdings (for income taxes and FICA taxes) and including the total amount owed by the company. If your total tax liability is less than $2,500 for the year, employment taxes for your business included on Form 944 may be paid when you file Form 944. If your total tax liability is $2,500 or more for the year, but less than $2,500 for the quarter, you can deposit by the last day of the month after the end of a quarter. However, if your fourth quarter tax liability is less than $2,500, you may pay the fourth quarter's tax liability with Form 944. If your total tax liability of over $2,500 for a quarter, you must deposit monthly or semi-weekly, depending upon your schedule. You must make payroll tax deposits using the IRS EFTPS system, no matter what the amount of your payroll tax liability. Advance earned income tax credit (EIC) payments.